Lepage Associates is home to a comprehensive Forensic Services Division. We have done 100s of forensic evaluations over the past 15+ years and provided therapy for a variety of forensically involved clients. Our doctors have testified as expert witnesses and/or acted as forensic consultants to attorneys for numerous cases to include those in family, civil, criminal, and military courts. TRUSTED SENIOR LEADERSHIP – SKILLED FORENSIC EVALUATORS:As a group practice with several clinicians experienced in forensic evaluations and forensic therapy cases, our evaluators and therapists have a broad range of knowledge and experience they bring to our team. Dr. Lepage began working in forensics over 20 years ago and is well known for her ability to decipher clinically complex cases. With her high standards for quality of reports and timely completion, she leads her forensic evaluation team to produce the highest quality work. (Full/Expanded) Psychological Evaluation: Includes: clinical interview; cognitive, emotional, personality and/or substance abuse testing; collateral calls; and review of records. Provides in-depth information on an individual’s functioning. Useful to help understand what a person is thinking and feeling, their underlying personality structure, intellectual strengths and limitations, coping skills or areas of weakness in coping, and why a person behaves as he or she does. An invaluable resource for providing diagnostic clarification and treatment recommendations. If substance abuse is being assessed or if there is a significant mental health or legal history of records to review, a full evaluation should be used. (Abbreviated) Psychological Evaluation: Includes: clinical interview; emotional and personality testing; collateral calls; and review of limited records. Provides information on an individual’s functioning. If previous cognitive testing exists or it seems cognitive limitations do not bear on the case, substance abuse is not an issue, and records to review are minimal, an abbreviated psychological evaluation can be used. Full Battery: Combined Full Psychological (described above) plus Full Psychoeducational (which tests for AD/HD, LD-Learning Differences, and Autism Spectrum). The most comprehensive testing battery available, to determine in-depth all cognitive, educational, emotional and personality factors affecting a person. Parental Capacity Evaluation: Includes diagnostic interview with parent and child if child is old enough, psychological testing of parent, parent-child observation, and collateral contacts and records review. Results provide in-depth information on the parent’s psychological functioning and parenting abilities and functioning. Effect of Parenting on Child Functioning Evaluation: This is a psychological evaluation of the child in a family unit where there are concerns that one or both parents are negatively impacting the child’s functioning. This may involve concerns about the child’s behavior such as aggression, misbehaving, etc., or concerns about parental alienation. There may also be concerns that the parent’s behavior is impacting the development or maintenance of a mental health (depression, anxiety), eating, or substance abuse disorder. The evaluation includes a clinical interview and psychological testing with the child, clinical interview with the parents, observations with the child and each parent, and necessary collateral contacts. Civil Evaluations: In general, civil evaluations are typically some format of an abbreviated psychological, full psychological, or full battery depending on the case and what the needs are for amount and type of cognitive testing, emotional and personality testing, collateral contacts, review of collateral data, etc. As a full-service testing facility committed to excellence in evaluation, we own a large variety of test instruments and add to it regularly. Thus, our evaluation in your case is truly customized and will yield the most specific and useful information and results. Immigration: Depending on the question being asked, the procedures will vary. A clinical interview will always occur. Psychological testing, record review, and collateral calls may be required. Adoption Readiness: Includes a clinical interview covering information of childhood, employment, mental health history and current functioning, substance abuse history, legal history, and understanding of adoption. Administration of the MMPI-2 as required by agency; the MMPI-2 is a self-report measure used to screen for clinical and psychosocial disorders. Questions on the MMPI-2 are designed to evaluate the thoughts, emotions, attitudes, and behavioral traits that comprise personality, and results reflect an individual’s personality strengths and weaknesses and can identify certain disturbances of personality (that is, psychopathologies). Reunification Therapy is a form of family therapy designed to repair a rift between a parent and child. It is often court-ordered when a parent-child contact problem has culminated in the child refusing to spend time with one parent. This type of refusal is typically seen in separated or divorced families in which there is a ‘favored’ parent and a ‘rejected’ or ‘disenfranchised’ parent. It can also be entered voluntarily without any court order. The goal of reunification therapy is, as the name implies, to repair the relationship of a parent and child who have become disconnected in some way. For initial claimant hearings regarding entitlement to disability insurance benefits. For reconsideration determinations for entitlement to benefits. We offer written evaluations/opinions as well as expert testimony as needed. We are happy to provide testimony should you and your attorney determine it would be helpful to your case. However, your attorney must subpoena us if you want us to be deposed or provide testimony; we will not appear without subpoena. Depositions and/or testimony as fact witness or as expert witness are billed at $350.00 per hour time spent preparing for and giving deposition and/or testimony, port to port. If you are receiving a court-ordered evaluation, depositions and testimony may be part of the services we are asked to provide as part of the evaluation; however, these are not covered under the flat fee of the evaluation. We will require a retainer up-front based on an estimate of time that we will provide, and we will not appear at deposition or in court without pre-payment of said retainer. If we over-estimate time needed any remaining retainer will be promptly returned within 48 business hours of deposition or testimony completion. To assure we are available for you, we require ten business days notice to appear at deposition or in court, to allow us time to clear our schedules, with the retainer due in full five business days in advance of appearance. We are happy to speak with your attorney to help determine if our testimony would be useful in your case. Almost every area of psychology is relevant to some aspect of the law. For example, developmental psychology affects the study of the effects of divorce on children. Social Psychology affects the influence of group think on terrorism laws. Clinical psychology influences the prediction of dangerousness in the mentally ill. Cognitive psychology influences the study of the reliability of memory in eyewitness testimony. Psychology and the law have a long history dating back to the early 1900’s. However, the goals of the criminal justice system and psychology are fairly divergent. The goal of psychology is to provide a full and accurate explanation of human behavior while the goal of the criminal justice system or law is to regulate human behavior. Criminal justice depends on precedents while psychology believes our current understanding of human behavior should be revised in light of new data. Lawyers advocate for a particular view; psychologists remain objective and focus on what the data show. Given these differing objectives, one might wonder why psychology and the criminal justice system should merge.These two disciplines overlap simply because the criminal justice system shapes people and there are many inescapably psychological issues in the legal system. 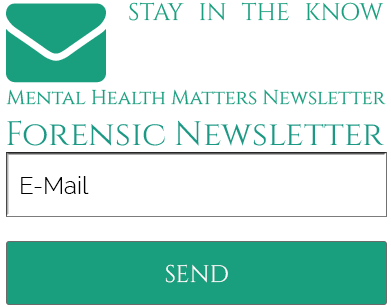 Such issues are generally studied by those who practice forensic psychology. Forensic psychology includes research that examines aspects of human behavior directly related to legal processes. It is the professional practice of psychology within or in consultation with a legal system that encompasses family, criminal, and civil law. Most forensic psychologists are clinical psychologists who receive continuing education and training in forensic psychology. Forensic psychologists also may be asked to testify as experts on a variety of topics such as mental health diagnosis, treatment efficacy, and the impact of trauma on an individual.